Funding has been awarded to principal investigator Scott McClelland by the NIH Eunice Kennedy Shriver National Institute of Child Health & Human Development for an "RCT of an Implementation Science Tool to Integrate HIV Testing Into Family Planning Services". Dr. McClelland has been a highly productive researcher in human immunodeficiency virus (HIV) and sexually transmitted disease (STD) prevention and treatment since 1998. He has published 120 peer-reviewed manuscripts of original research and been Principal Investigator on 13 research grants including 8 major NIH- funded studies. Dr. McClelland leads the University of Washington (UW) Mombasa HIV/STD Research Field Site in Kenya, where he has developed an outstanding research and training infrastructure. His past and present trainees include 18 masters (15 as chair), 10 PhD (5 as chair), and 26 post-doctoral researchers (21 as primary mentor). These trainees have been exceptionally successful in career advancement, publishing, and securing additional funding to support their training and research. More than 75% of Dr. McClelland's mentees have remained in academics or other settings where they focus on patient-oriented research. Dr. McClelland has received two prestigious mentoring awards; the UW School of Public Health Outstanding Mentor Award (2012), and the Department of Medicine Mentor of the Year Award (2015). Career Plan, Institutional Environment, and Institutional Commitment. The research and mentoring proposed in this application focus on multidisciplinary implementation science. During the past several years, Dr. McClelland has been expanding his research program in this emerging and important field. 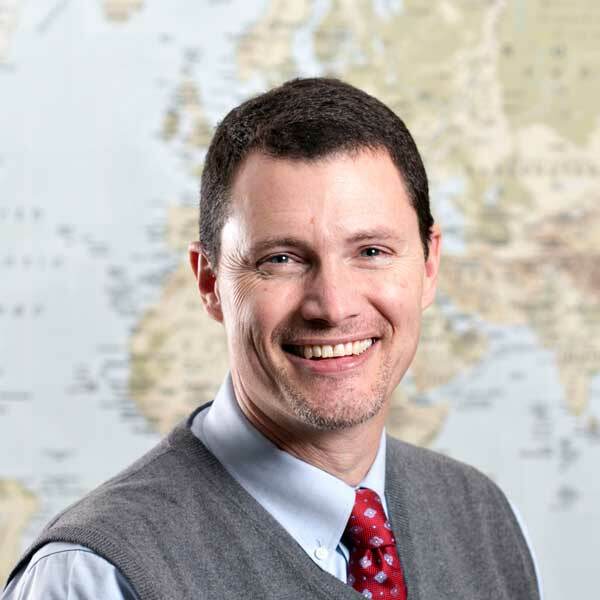 As a young HIV researcher in the late 1990s, Dr. McClelland began his career by conducting clinical and epidemiological studies of HIV and STD prevention and treatment in Africa. At that time, the key research questions related primarily to `what' works. Today, with a range of proven prevention and treatment tools available, it is a natural extension to include research that focuses on `how' to implement these interventions to maximize population impact. Dr. McClelland is at an ideal point in his career to expand his leadership of multidisciplinary mentoring teams while gaining new skills and refining his approach through structured courses, independent study, and exploration of new mentoring strategies. The overarching objective of Dr. McClelland's mentorship is to support trainees' progress on the path to full research independence. The UW is an ideal environment for this research and mentoring program, with more than 1 billion dollars in annual research funding, numerous grants to support young investigators in patient-oriented research, and top-ranked programs in Infectious Diseases, Epidemiology, Global Health, and Implementation Science attracting a large number of superb trainees each year. The UW has a strong commitment to Dr. McClelland and his research and mentoring plan. Research Plan Integration of HIV and family planning (FP) services is an approach that holds considerable promise for improving delivery of HIV treatment and prevention services to women. The United States Government Global Health Initiative Strategy of 2010 emphasized linkage of these services to increase efficiency, lower costs, and improve the health of women in low-resource settings. Testing for HIV is the gateway to care and prevention. Integrating HIV testing into FP clinics could open this essential gateway to far more women. Reviews of the literature support the feasibility of integrating these services, but highlight the need for additional research. In this K24 application, we propose a trial of a systems analysis and improvement approach (SAIA) to optimize rates of HIV testing in women presenting to FP clinics in Mombasa County, Kenya. This work will be conducted in collaboration with the Mombasa County Department of Health (DOH) and Kenya's National AIDS and STI Control Programme (NASCOP), ensuring rapid dissemination of results and facilitating scale up of successful strategies. Our proposal includes three specific aims. We will first conduct a cluster-randomized trial comparing the effect of the SAIA approach versus usual procedures on rates of HIV testing in first-time attendees at 12 intervention versus 12 control FP clinics. Second, to determine whether the SAIA training results in a lasting effect, we will compare HIV testing rates for first-time FP clinic attendees in SAIA intervention versus control facilities after an additional year, during which FP clinics in the intervention arm will be encouraged to continue to use the SAIA tools without further support or training from the study team. Third, we will estimate the incremental cost of applying the SAIA intervention versus standard procedures. Budget impact will be estimated from the payer (DOH) perspective. We envision that each aim will be led by one of Dr. McClelland's mentees. Collaboration and team mentoring with Drs. Sherr (Implementation Science) and Barnabas (Costing/Budget Impact Analysis) will provide the multidisciplinary expertise that is key to the success of this research and mentoring proposal. Integrating HIV and FP services in Mombasa County will result in improved rates of HIV testing, opening the gateway for linkage of women to other HIV prevention and treatment services. Rigorous testing of the SAIA intervention will provide a framework for scale-up in a wide range of settings with a high burden of HIV.